Below you will find our favorite projects! We enjoy playing and sharing a wide variety of styles of music – from Bach to bluegrass, traditional hymns to modern worship songs, Spanish-style guitar music, show tunes to pop favorites, and even some of our own original compositions. All music reflects creativity, and creativity comes from God – so we play it all for the glory of God, with thanks to Him for the abilities He gives us. You can purchase our CDs online wherever you buy music – CD Baby, iTunes, Amazon mp3, and more! You can take a listen below. And as always, thank you for your encouragement and support! Our best and greatest Introductory CD! 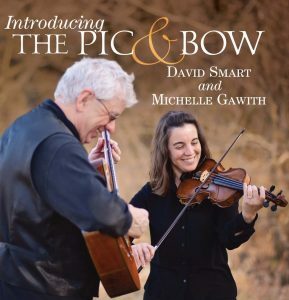 This album contains a wide variety of styles, including Pic and Bow original compositions, worship songs, and pop favorites. 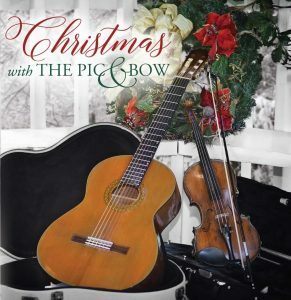 Our best and greatest Christmas CD ever! (O.k., so it’s the only Christmas CD we’ve done . . . so far!) Once again, we have included a wide variety of styles – from carols to popular Christmas favorites, and even an original song.